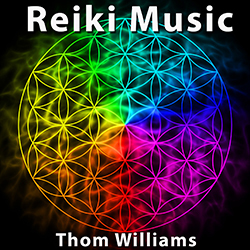 Reiki Music - The Video, now availabe on YouTube. Reiki Music - almost here! Just days away from the global of release of our "Reiki Music" album! Music that helps self-healing, relaxation and even energizes for humans & pets. In 150 e-stores Mid November..stay tuned for details! Man rescues kittens while fishing - a real hero! Craziest Cat Lady Ever! Kate McKinnon (SNL) must see clip talking about #cats, screen kisses & well just watch - she's a riot! Crazy Cat Lady Test - But What Do We Call Excessive Dog Lovers? Crazy Cat Lady Test - But What Do We Call Excessive Dog Lovers? We came across the web's latest's trender, the crazy cat lady test, ( http://tiny.cc/8vbt0x) but it occurred to us, is there an equally cute & funny term for dog & other extreme pet lovers? Comments? Saved! Dogs Pictured Hugging As They Wait To Be Put Down Are Finally Adopted - Love Their New Daddy! Golden Retriever Welcomes Home Newest Member of the Family! Jon Stewart and his wife are turning NJ farm into a sanctuary for rescued animals. If we have to give him up during this election, at least it's for a great cause! Danielle Jacobs is aware of the side effects of living with Asperger's syndrome, but she wants everyone else to be too. That's why the 24-year-old from Tempe, Arizona, posted this video of her service dog Samson comforting her during a meltdown on June 1. Less than a month later, it's already garnered over 4 million views. Does your pet press thier head against the wall? Both Figo, the golden retriever, and his owner, Audrey Stone, were on the mend Tuesday, a day after the collision with the mini school bus in Brewster. Win a famous crate for your dog and help a good cause! Find out how your dog can own this famous Orange Room crate (used on the Today Show) to benefit guide dogs & service dogs. Let the bidding begin for a great cause! County workers "check out" kittens from shelter while at work, over 100 have found forever homes. What an awesome concept. This county admin needs to win awards for creative thinking! When one beloved dog received a terminal diagnosis, his owner was devastated — but wanted to make the most of his pet's final days. Here's how we help families with comprehensive care for the whole life of the pet...new pet introductions, behavior, pet loss grief, and more. We can help your pets at any stage.